Football dominates Sunday afternoons, especially in Packer country and especially when the hometown favorite makes mince meat morsels out of ancient rivals Chicago Bears. MOCT on Pittsburg has taken a different approach to Sunday funday, mixing an afternoon of sports and indy commerce. They’ve huddled with Wren Solares’ creative start-up Lost In Milwaukee to give a winter home to Solares’ venture the Sunday Up Market. The first installment of Up Market popped this past Sunday, scheduled to cycle in crafty inventories on alternating Sundays through the Spring of 2013. Accommodating a couple of fists full of vendors, the Up Market gave opportunity to venerable makers-of-things of varying materials including Butterscotch Baby’s full line of Total Body Experience products, felted accessories by Jan Falk, repurposed and original nit designs by Zen Dragonfly, couture from BVEN Boutique on Brady, and some serious iron work from Historic Preservation Award winner Milwaukee Blacksmith Inc. Sunday Up Market’s selection of wares and accessories gave a swath of interpretations on winter favorites like hats, scarves, wrist warmers and some really nice mittens, and all season items like jewelry and resale vintage fashion from other sellers as well. As craft and art fairs become vogue, mainstay outlets like WSME’s Buy Local Bazaar, Art vs Craft and Made in Milwaukee need company, its getting to the place where there are just not enough booths to go around. Even more intriguing, MOCT has the ability to host this event on a regular basis with a nearly ideal atmosphere for a local shopping experience: urban chic and niche. Once spring breaks, Solares, collaborating with the Walker’s Point Association and Alderman Perez, plans to move the venue of Sunday Up Market to an outdoor space that will accommodate 200 vendors. The Sunday Up Market spring kick-off is scheduled for May 5, 2013. Even though the next Up Market is a month out, you may still have time to strike a deal with some of the vendors before Christmas by contacting them directly, online or by appointment. The next Sunday Up Market is January 20, 2013 at MOCT. You’ll find more information on the market and vending opportunities on Sunday Up Market’s website. Oh yeah it’s 2012! That means it’s time to quickly look back at 2011 before speeding off into the night of the New Year. I’ve been blogging for about 3 years now, and the new year also brings us closer to Local Trolley’s one year anniversary! Before I go on posting, I want to acknowledge my most popular posts from 2011. Even though I don’t know how I will honor my most popular post subjects, I still want to give them the desserts they deserve! Here are the five Local Trolley topics receiving the most page views in 2011! Meeting Ryan Laessig was an unexpected jolt of freshness. 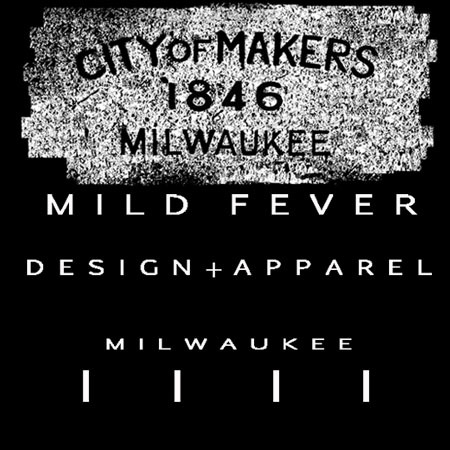 A photographer and avid re-branded clothing maker, Laessig taps into the alternative fashion scene with a couple of location based themes titled Milwaukee Alt. and Capital Alt..
Laessig published a book photography this past summer entitled Milwaukee Alt. featuring men and women’s fashion styles and aesthetics. His efforts engage sexuality, seductiveness and pleasure, hanging out in area between tasteful and taboo. Generating much hype over the past 5 years or so the Miltown Beat Down has provided and outlet for not just aspiring rappers but music producers. The past three years the Miltown Beat Down has featured music producers exclusively. In 2011 hip-hip producer Reason took the title, on the precipices of one of 2011’s top underground collaborations UniFi Records’ release Know Flight Zone with Dana Coppa. The Miltown Beat Down featured a lot of other independent efforts like Audio Pilot, Sam Winters, Luxi, Mark V, and White Russian, and approximately 36 other talented hip-hop musicians. DJ Madhatter and Kid Cut Up, two hip-hop mainstays in Milwaukee (minus Kid Cut Up now who left Milwaukee to spread his wings this past fall) mastered the ceremonies last year, no telling what in store this year. In the wake of Andrew Tyler’s murder, the only thing the hip-hop community can do is keep striving for higher ground and efforts like the Miltown Beat Down humbly keep the culture ascending. Filling a need to associate people we know with established type cast, takes a little bit from Jim Fetzer‘s natural mystique. None the less people seek his chocolate desperately and I definitely noticed that as the winter holidays approached, views of my post on Northern Chocolate Company trickled up. He’s an alum of the old Ambrosia chocolate factory workforce and has kept busy making chocolate on Martin Luther King Drive well before urban renewal took hold in Brewer’s Hill. If you made a Milwaukee Pabst-Can-list, tearing-off and devouring the head of one Northern Chocolate Co‘s famous chocolate bunnies would settle in the top ten must-do’s. Riverwest, ah Riverwest. Some love it, some get broken by it, some thrive in its rubbery stew. Riverwest is kind of like Milwaukee’s City of the Lost Children and playwright Eric Theis wound his experiences there into a theatrical ditty entitled Riverwest: A Rhapsody!. Ironically, Theis produced his musical in Madison at Broom Street Theater. Despite the play’s, geographical limitations, Theis masterfully transformed his Madisonian cast into a band of gypsies worthy of a inhabiting a Polish flat on Weil Street. Fearless of difficult topics, Theis’s other projects include an original script about the Reconstruction Era South titled The Temples of Nadir. Crafting intelligent, poignant and nuanced dramatic prose, Eric Theis falls into the category of extremely talented young risk-taking writers to support. On a very indiscript late summer day in August, an art show gracing several store fronts in the Plankington Arcade section of the Grand Avenue Mall had just underwhelmed me. Having heard about another lightly promoted art show, I decided why not check it out, I never go to Avenues West. Milwaukee artist Brittany Farina pulled a few fellow artists together for one of the more unsung event of 2011, an art night at the Brumder Mansion. One of the artists, Mike Magaestro, strung together a tremendous series of paintings centering on the most difficult subject matter to make interesting: flowers. He’s nearly a landmark unto himself in the Milwaukee design world, it seems that visual arts just add to the proficiencies that Magaestro nimbly executes. Congrats Mike on being Local Trolley’s #1 post for 2011!